Our team at Aesthetic & Implant Dentistry of Atlanta helps our patients improve their self-image, confidence and well-being. When taking care of a patient, we look at the entire person. Our holistic view of the patient helps us provide the best oral care. On your first visit, we will discuss your reasons for seeking a smile enhancement and ask you to describe how you feel about your smile. Our professionals will listen to you and discuss your image aspirations. The key is not to make things too perfect. In nature, things have variation, and that is the key to making someting artificial look real. Our approach is extremely thorough. We examine teeth, gum tissue and jaw joints as well as screen for oral cancer and TMJ to get a complete picture of your dental health. Rather than just tell patients what their problems are, we educate them about dentistry and how best to care for their complete oral health. We will explain the difference between bonding, implants, crowns, bridges, porcelain veneers and different teeth whitening procedures. Most smile makeovers use more than one procedure to complete your new smile. Every patient is unique, and we design a treatment plan around your needs and desires. We do all we can to make your visit with us comfortable and relaxing. Our practice provides special amenities for your pleasure such as warm towels, lip balm and cozy blankets to help you feel settled. We understand how anxious patients can feel in the dental office, so we work to put ours at ease. Contact us today to schedule your appointment. 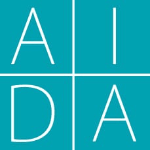 Whether you are interested in a comprehensive oral exam, need to have missing teeth replaced or some other dental need, AIDA is the perfect place for all your dental care requirements.